NO GST PAYABLE!!! Grant Hill Estates, a gated community. Custom home of 3677 Sq. Ft. three story with a large one bedroom and a den deluxe suite. 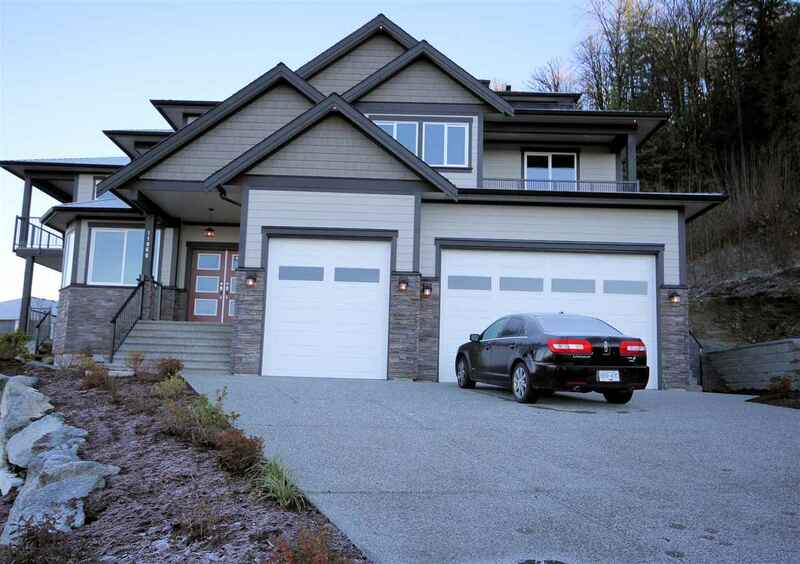 (TRU Legal Suite ) Beautiful city, mountain & forest views fromm 4 covered/2 open decks/patios . Large backyard perfect for a pool. Extra large three bay garage with workshop space w/ 220 WR. Charcoal maple cabinets highlighted by quartz counter tops throughout the house. Master bedroom on the main floor with deluxe ensuite and walkin closet. Prewired for multi-room/ceiling audio sound system. Main floor open plan with two way gas fireplace between lvrm and dinrm as a focal point. Extra features prewired for high speed internet, air conditioning, gas BBQ hook up and 2-5-10 New Home Warranty. Great home for entertaining.